Teachers are learning new approaches to teaching in continuing education courses. And they attend one another’s classes in village schools, then discuss and plan ways of improving their teaching methods. One third of the Tanzanian adult population is illiterate, showing a wide gender gap between men (26%) and women (39%). Nonetheless, improvements for the younger generation are visible. 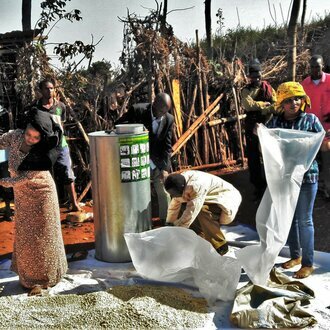 Due to strong efforts to reach Tanzania Millennium Development Goal no.2: "EDUCATION FOR ALL", access to education has strongly improved for the current Tanzanian generation, for both boys and girls, with 95% of Tanzanian children enrolled in Primary schools in 2014/2015, compared with 59% in 2000. The primary school completion rate is close to 90%. Some statistics on schooling in Tanzania are promising, others disappointing: nine out of ten school-age children attend primary school and one out of three goes on to complete secondary school. But the figures also show that one out of three pupils drops out of school after only a few years. Talk to teenagers in Tanzania and you will soon find that many of them have a hard time conversing in English or doing simple arithmetic. This is partly due to the school atmosphere. Interacting with children in overcrowded classrooms is a formidable challenge for the teachers. So the teachers lecture, the kids listen – or not. That puts a damper on motivation, for pupils as well as for their teachers. Working closely together with the powerful teachers’ union, Helvetas is improving primary school teaching in English, mathematics and sustainable development. 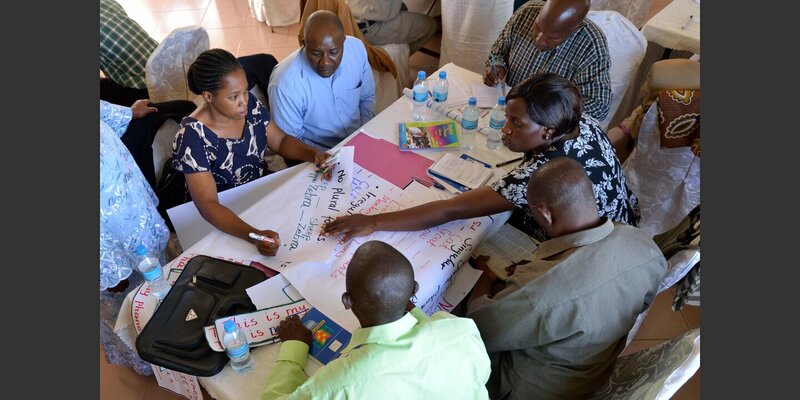 So far, up to 700 teachers each year have had an opportunity to broaden their knowledge and improve their pedagogical skills in continuing education courses at teachers’ seminaries in the regions of Arusha, Manyara and Kilimanjaro in northern Tanzania. To contribute enhancing the quality of education, HELVETAS established QUEETS project which started as a small initiative in 2002. 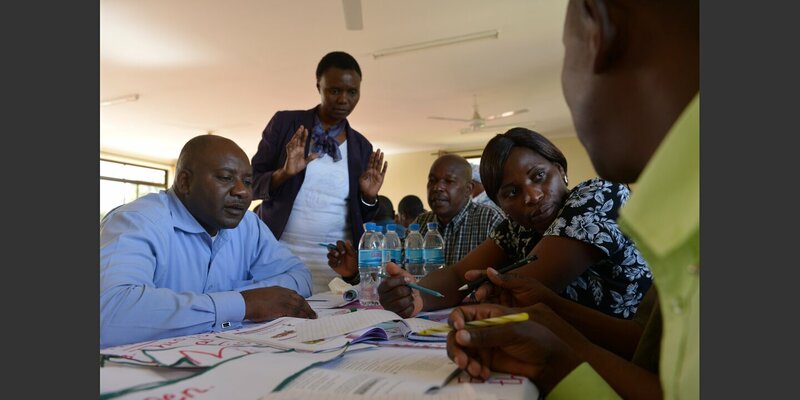 QUEETS supported the Tanzanian Teacher Union (TTU) and Local Govenment Authorities (LGAs) through training of primary school teachers in Mathematics, English language and Education for Sustainable Development (ESD) subjects. 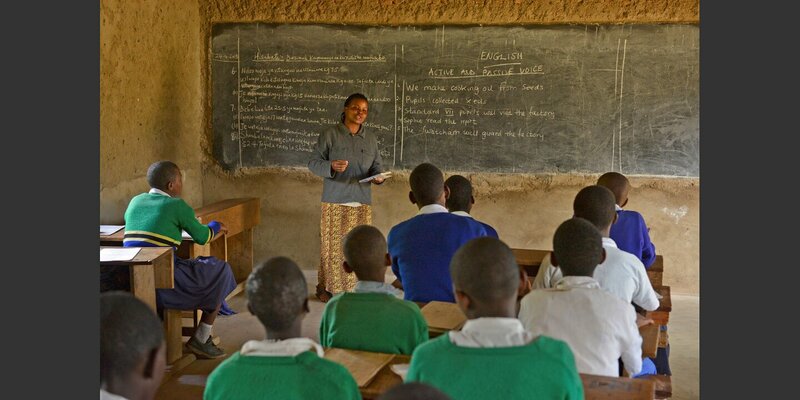 This Expert Teacher Trainig is conducted in three regions: Arusha, Manyara and Kilimanjaro. Until 2014 the project was able to reach 1,438 primary schools with over 718,000 pupils, 14,380 school teachers and 266 Ward Education Officers. In order ensure the sustainability of the project, QUEETS and TTU are closely collaborating with the Education Authorities at national level including the Ministry of Education and Vocational Training, regional and district level. 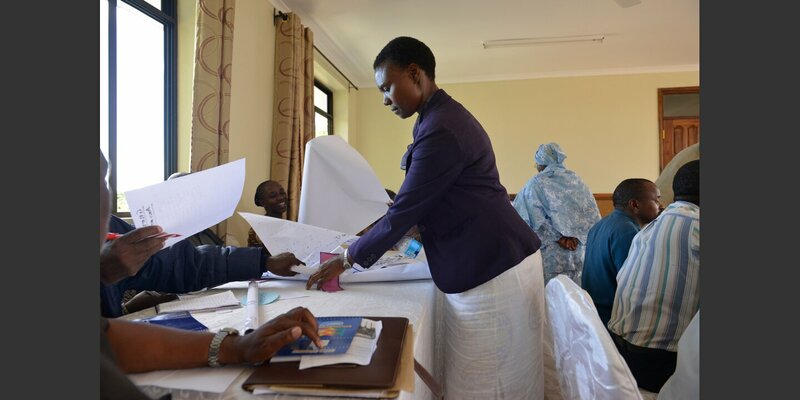 Moreover Sub-District Coordinators and Headteachers are particularly involved in the monitoring of the project. Overal Goal; Improved practice orientation in teacher education at teacher colleges; a well-functioning school-based in-services teaching; and expert teacher training with effective teaching and learning at primary school that contribute to an improved quality of basic education for children in Kilimanjaro, Arusha and Manyara regions. QUEETS project had two phases, whereby phase two had a different approach to phase one so as to overcome the challanges observed during the implementation of phase one. This phase was carried out from 2012 to 2014, whereby QUEETS through MEPP (Mathematics Education Primary Programme Baseline) select few teachers from designated public primary schools and provide them with training, improved curricula and training aids, in focused subjects (Mathematics, English Language and Education for sustainable Development). After these trainings the teachers are recognised as National facilitators. National facilitators are qualified to train other teachers from number of selected primary public schools on same subjects, on how to use the improved curricula and teaching aid to improve the understanding and score in the final standard seven examination. The trained teachers are recognised as Expert Teachers. Expert Teachers are now expected to return to their schools and pass the knowledge gained from the training to colleagues. However the extended evaluation of QUEETS conducted in 2014 revealed that the cascading approach, particularly Expert teachers Coaching fellows teachers in schools was a challange. Hence the development of the second approach on the second phase. The approach began implementation in 2015 and recognised as a practice-oriented methodology. The model basically is implemented during normal school hours, whereby the teachers who do not have teaching lessons at that particular time could attend a fellow colleague's (in this case the expert teacher) class lesson and observe the added elements. He/she can later ask questions or clarification on the topic that was not clearly understood or eraborated. Recently these courses have a specific focus on improving mathematics teaching as well as a new form of know-how exchange: at 150 primary schools, teachers are now inviting their colleagues to attend one another’s lessons in order to learn from one another. Afterwards they get together to discuss simple changes they can make in their day-to-day teaching. Teamwork, for example. Letting kids ask questions in class. And using locally available materials to make teaching aids. 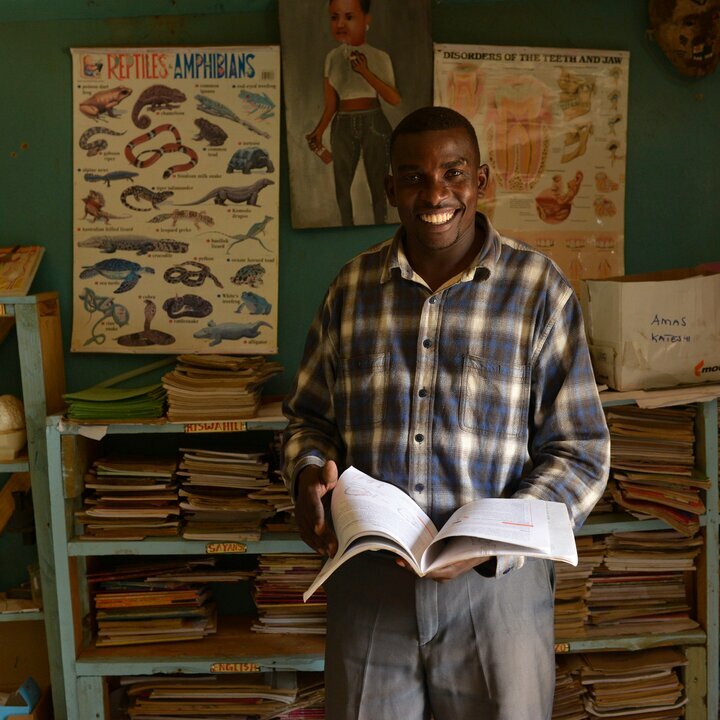 Helvetas’ continuing education for teachers has become a mainstay of teacher training in northern Tanzania. The education ministry – with which the project signed a cooperation agreement – has taken an interest in this form of continuing education for teachers and is planning to introduce the program in other regions. The objective is not only to give pupils better prospects in the employment market, but also to empower them to become civic-minded citizens capable of contributing to the social development of their communities and their country. An effective school based in-service training system implimentation. Better teaching and learning at primary school evidenved with increase student perfomances. 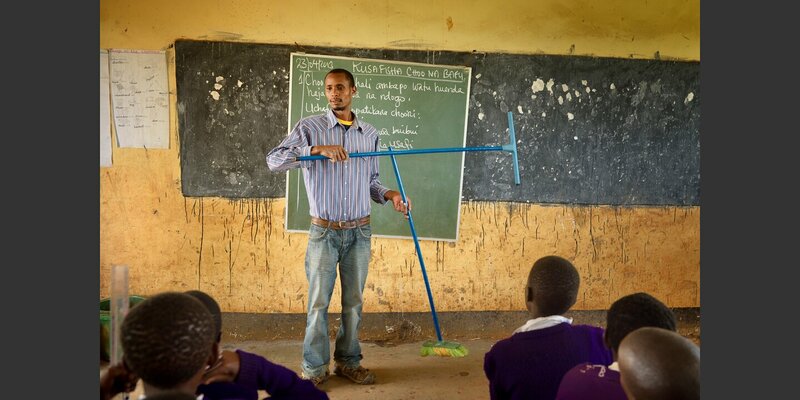 1,900 Expert Teachers were trained and 250 retrained. 75 National Facilitators trained and 60 were retrained. 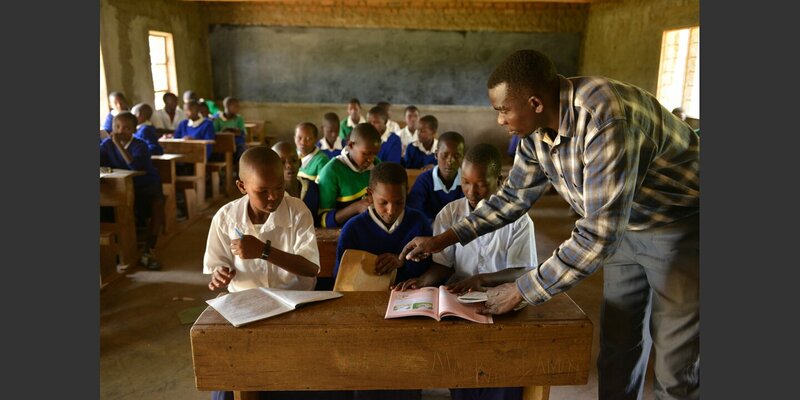 580 Headteachers and 10,000 teachers were trained. This is at present benefiting an estimated population of 718,000 pupils. Increase of 40% of perfomance in Mathematics, English Language and Education for Sustainable Development (ESD) in schools where QUEETS is implementing its activities.